D'aaaaw - Georgia Moffett (Well, Georgia Tennant now), Peter Davison's daughter, was apparently a producer on The Five(ish) Doctors. The Doctor's Daughter helping The Doctor in both fiction and real life! 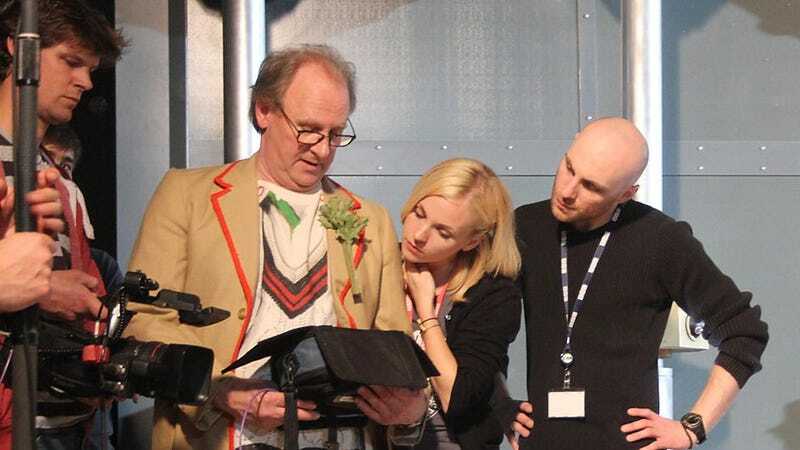 Few more pictures from behind the scenes of The Five(ish) Doctors can be found on the BBC's Doctor Who site, as part of their digital advent calendar.